Jesse Vida is preparing his station at the Bloomsbury Club Bar in central London ahead of his guest shift. The Black Tail head bartender says he’s lucky to be here. And not just London. If something hadn’t stirred deep inside of him back in juvenile jail, he might not be here at all. Vida’s early life was a drift around the Bay area of California, mostly San Francisco and its suburbs. His father died when he was very young and Vida “grew up broke”, supported by his mother, who found work where she could to support her children. Despite her best efforts (“she never gave up on me)”, the teenage Vida rebelled. As for so many, bartending was a makeweight job that slowly took grip. In 2007 he started bar backing in San Francisco at the likes of Beretta, eventually ascending to a bartending position at Delarosa. He’d got into classics through the seminal books Imbibe! and Savoy Cocktail Book and had fallen in love with the Sazerac. Things in Vida’s hometown were good, but with his 20s getting sight of his 30s, it was time to stick or twist and in 2013 he left for New York. With a few connections and a decent reputation, Vida soon got shifts, not least at Booker & Dax. Before long he’d added Dutch Kills to his resumé, which was about to improve further. 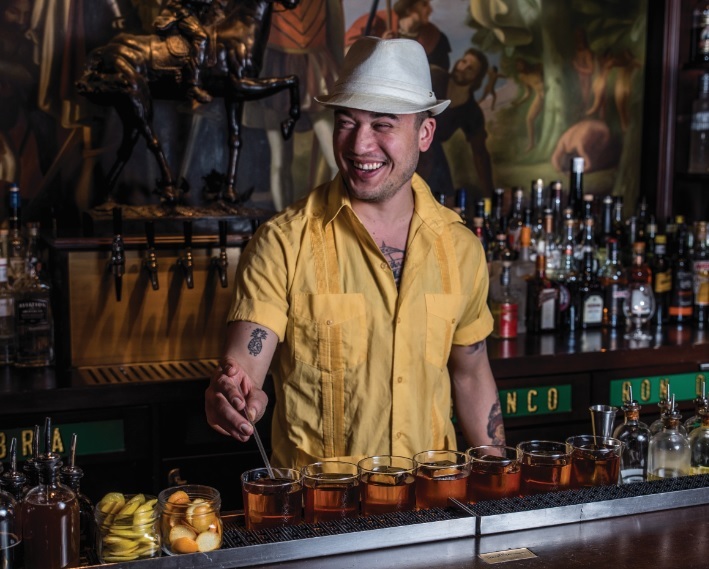 Through a round-about connection with Jillian Vose, he landed a bartender role at what we would be later named the world’s best bar, Dead Rabbit. It is here, under the tutelage of Jack McGarry and Sean Muldoon, that his reputation has rocketed. “My ethos is based on theirs. Jack is more operationally involved, whereas Sean is more the thinker and creative force with concepts – he’s a bit of a savant. You have to respect those guys – Jack and Sean are in the bar every day. Some months later Black Tail opened with Vida installed as head bartender. Vida had simply asked the question – and it paid off. To think if his life had worked out differently, requests might have been of an entirely different nature.